London, August 2014, a cyclist was killed after clipping the bridge’s central reservation (highway divider) in a tragic accident, which involved a BMW car. In recent years, there were more than 100 deaths per billion miles cycled in Britain. Most cycling accidents happen in urban areas where most cycling takes place. Almost two thirds of cyclists killed or seriously injured were involved in collisions at or near a road junction, with T junctions being the most commonly involved. Is cycling in the UK getting more dangerous? Reading all over the internet for clues wether people are safer or not, we stumbled on a blog by Earl & Earl, Personal Injury Attorneys and apparently there are some good news. 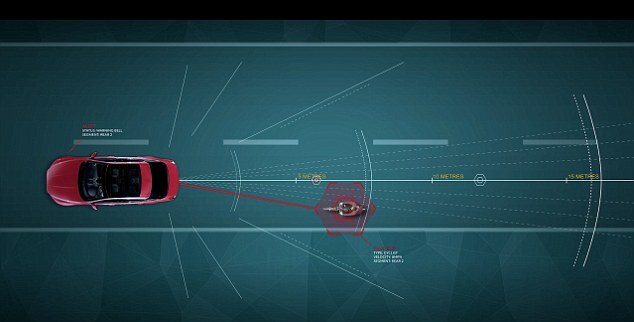 Fortunately, Land Rover has been researching ways to increase driver awareness of cyclists’ positions reduce accidents. Bike Sense is a new kind of active system, combining sight, sound and touch to give you feedback of what and where the hazards might happen, which will soon to be equipped in all future Land Rover cars. Technically, Bike Sense features sensors that can distinguish pedestrians from cyclists and motorcyclists. Once it senses a bike rider, the system will then produce a blast of sound of a bicycle bell, red and yellow LEDs, and a physical tap on the shoulder of the driver. For example, if a bicycle is overtaking the car, haptic feedback “taps” the driver on the corresponding shoulder to alert them to look towards the correct side of the car. An overlapping matrix of LED lights will then illuminate parts of the interior in amber and red to indicate the movement of the passing cyclist. More incredibly, Bike Sense also helps to secure parked cars from taking out passing bikes with an open car door. When you’re parking the car, the system continues to sense if anything is coming, warning with lights, noises and the vibrant door handle. 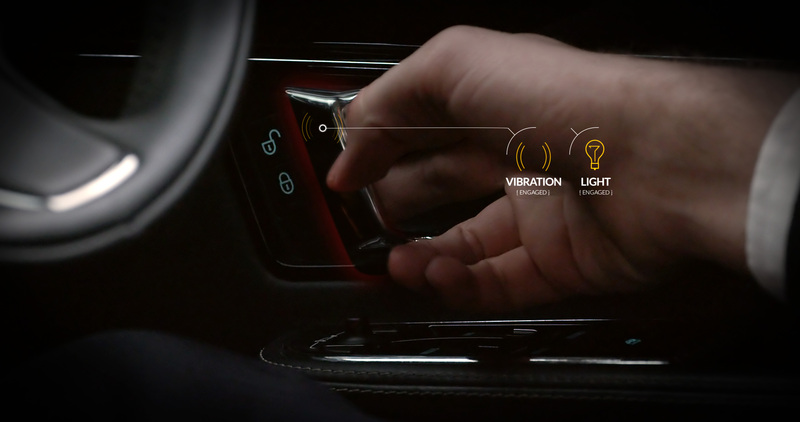 “Bike Sense takes us beyond the current technologies of hazard indicators and icons in wing mirrors to optimizing the location of light, sound and touch to enhance this intuition,” said Dr. Wolfgang Epple, Director of Research and Technology at Jaguar Land Rover. By engaging the instincts, Bike Sense has the potential to reduce the risk of accidents with all road users. The system has proved to decreasing the response time and ensuring the correct action to be taken to prevent an accident from happening during its tests in London. Jaguar’s engineers are still working hard to let it be integrated on next Land Rover models soon.